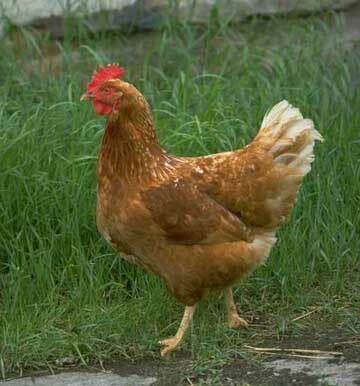 There was once a farmer who found the egg of an eagle and kept it where a backyard chicken laid it's eggs. The backyard chicken incubated and hatched the egg. The little eagle - let's call him Puggy, grew up with the chickens, scratching the soil and getting his food. One day, while Puggy was hanging out with chickens, he saw a big bird in the sky and he asked his friend, "what bird is that?" His friend (the chicken) replied, "it's the eagle, the bird of birds. 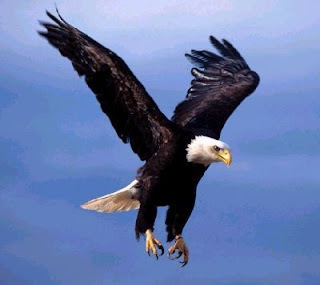 But do not look at the eagle for you're just a backyard chicken." Puggy was a good little bird so he trusted and believed in his friend. Consequently, he never, ever dared to fly. He lived in conformity with the chickens for the rest of his life and never reached his full potential. Puggy eventually grew old and died living like a chicken - scratching the soil and getting his food. Can you relate? I know you must be wondering what eagles, chickens and turkeys have to do with you. Well, the chicken and eagle story is an analogy aimed at highlighting the impact our relationships and associations have on us. I have come to realise that toxic, negative, non-supportive and unproductive relationships have a catastrophic impact on what we can achieve and vice versa. The people we listen to on a daily basis impact our thoughts either positively or negatively and according to Earl Nightingale, "we become what we think about most of the time." Hanging out with the wrong people most of the time means we listen, think and do the wrong things most of the time thereby sabotaging our ability to succeed. To paraphrase Robert Kiyosaki (best-selling author of Rich Dad, Poor Dad), if you want to be a mechanic, you go hang out with mechanics; if you want to be a school teacher, hang out with school teachers. Hence, if the people you hang out with are not people we want to be like, why are we hanging out with them anyway? Wrong associations tear us down rather than lift us up. This tells me that it's important to make friends and associate with high achiever (eagles). They have been there, done that. Besides, if they can do a thing, they can teach a thing, right? High achievers would help us achieve our goals because they won't freak out and put up road blocks when we make a move in the right direction. While growing up, I often heard my mother say, "I don't want to see you with those boys!" (You've probaby heard the same words from your parents). Now I understand why she was worried about who I associated with in the neigborhood. As we all know, parents have their kids' best interest at heart and they want their kids to reach their full potential. This explains why they're concerned about who their kids hang out with. They believe their kids are "eagles" and they won't soar while hanging out with "chickens." Evaluate your current relationships. If you realise your friends get you into trouble, tear you down, drain your energy, make you feel bad about yourself and pull you backwards, take steps to redress the situation fast or simply drop the "social deadweight." BUT don't stop loving them. Look for high achiever and start building healthy relationships with them. Start editing what goes into your mind. I can go on and on, but I'll leave you now with the words of Will Rogers, "a man only learns in two ways, one by reading, and the other by association with smarter people."